Tony Alfano at a recent appearance at Arlington International Race Track dressed as a harness horse jockey. Being a parent is arguably the hardest job in the world, and being the parent of a child with Cerebral Palsy presents an especially hard challenge. But Tony and Deanna Alfano of Melrose Park are not looking for recognition. They are looking to inspire others who, like them, have a child with the disorder. Anthony has been smiling a lot lately because of his latest Halloween costume, which has become a tradition started by his father Tony, who works for a sign company, and his mother Deanna, who is a hair stylist. Not content with buying a traditional costume from a store, Tony comes up with unique ideas and builds them from scratch, incorporating the design to go with his son’s wheelchair. And while Tony builds the creation, Deanna is in charge of Anthony’s clothing. This year, Tony is a harness horse racing jockey and was recognized with a special welcome at Arlington International race track with a welcome on the track’s digital board and a meeting with real jockeys. The costume that Tony built for his son incorporated a Radio Flyer rocking horse that attached to the harness (Anthony’s wheelchair), had a number on the side of its body and a victory wreath of roses around its neck. Anthony, as jockey, had a helmet with goggles, jockey pants and boots, and a flashy red and white checkered shirt. Last year, Anthony was “Zoltar,” made famous in the movie “Big.” But it wasn’t enough to deck Anthony out with a gold turban and fake mustache. Tony built the booth that houses Zoltar around his son’s wheelchair — an elaborate effort that he said he had to work several hours on at night and on weekends. Other costumes were just as original and detailed. They include Elvis, Pinocchio (with puppet strings), Mini-Me, a person in the electric chair (with a head piece with LED lights that lit up with the flip of a switch) and a hockey goalie with net. The Chicago Ambassador caught up with the couple a few days before they drive to New York in hopes to get their son on Friday’s “Live with Kelly and Michael” show for a costume contest. They also hope for an appearance “Ellen” in the near future to inspire parents from across the country. (They don’t have tickets for the Kelly and Michael show, but to talk to the couple, one quickly learns that ‘can’t’ is not synonymous with their attitude about their son). CA) Anthony was born at 24 and 1/2 weeks and suffered a brain bleed that led to his condition? D ALFANO) He suffered a grade 4 Brain bleed, which led to Cerebral Palsy. With a baby that small, a hard cry could lead to a brain bleed. T ALFANO) ‘Love him.’ …We don’t have a choice. These are the cards that we were dealt. You have to make the best hand out of it. You can’t return him, and it’s not his fault. CA) You lost a son (Anthony’s twin Angelo) and have another with a big hardship. A lot of couples wouldn’t survive. D ALFANO) They say it either brings you closer or pulls you apart. We feed off each other. Sometimes he’s the strong one if I’m having a bad day. Other times it’s me. CA) On a lighter note, I know you’ve always been a big Halloween fan. I heard you freaked your sister out one Halloween. T ALFANO) Yes, it was Deanna’s cousin and I. I had a Michael Myers mask and he had a chainsaw. He was ringing the doorbell, and she has some high brush near her door. I was standing against it so all you saw was my face. I was sitting there and he’s ringing the doorbell, cranking the chainsaw. I never saw my nephew run so fast. It’s fun for me. 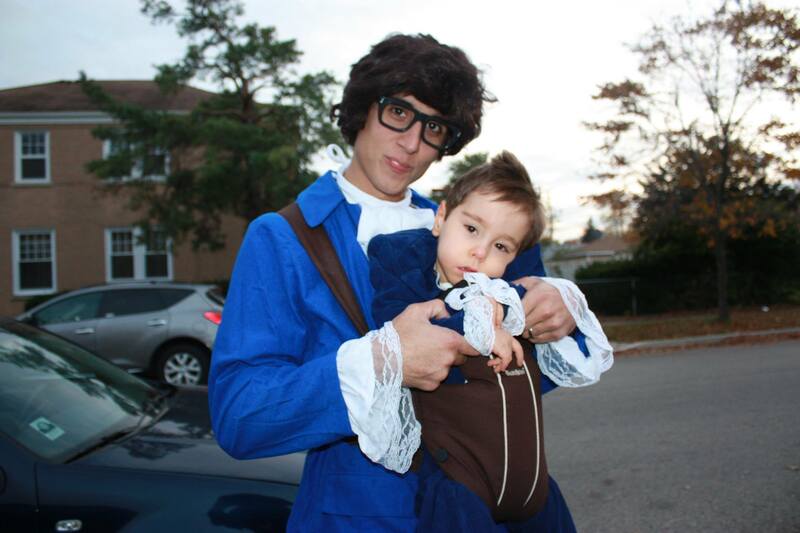 CA) When did you first start getting more elaborate with Anthony’s costumes? T ALFANO) Probably when he was Pinocchio. The year before that he was still a baby. That year he was Elvis. D ALFANO) His costume [that year] was homemade. It was a onesy that looked like Elvis’s body. Tony spray painted a pair of glasses gold and hot glued sideburns to the glasses. I bedazzled the pants. T ALFANO) That was fun, but the next year was when he needed a vest for trunk support. D) ALFANO) It’s for trunk support, respiratory support to help him breath because he can’t sit up. 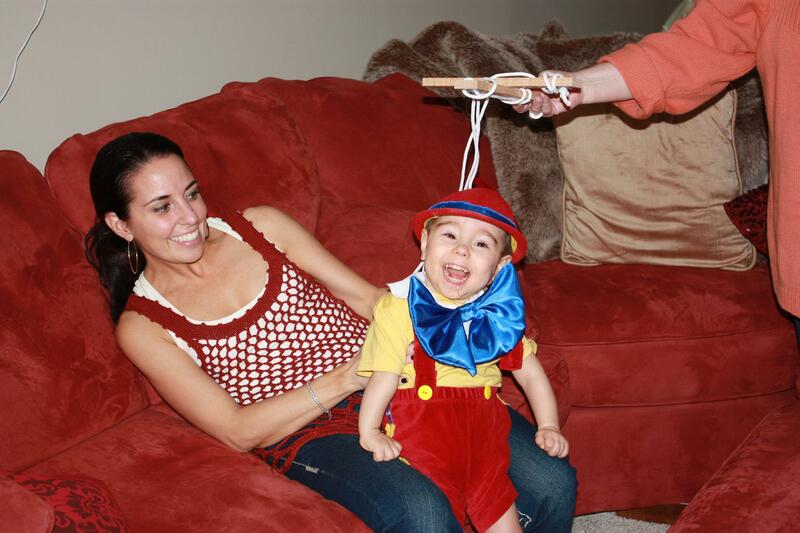 Deanna Alfano and her son Anthony, as Pinocchio. T ALFANO) So, I’m looking at it and thinking ‘I have to spin this in a way that’s fun.’ Halloween was coming, the previous year he was Elvis and everyone liked it so I wanted to do something fun again. He was hunched over I was like, ‘I wish I could just hold him up with something, and it [Pinocchio with puppet strings] just came to me. So it was perfect. CA) You also dressed him as Mini-Me when he was young, correct? T ALFANO) Yes. He can’t walk, and he didn’t have a wheelchair at the time. I didn’t want to just put him in a stroller. I was flipping through the channels and Austin Powers was on and it came to me. 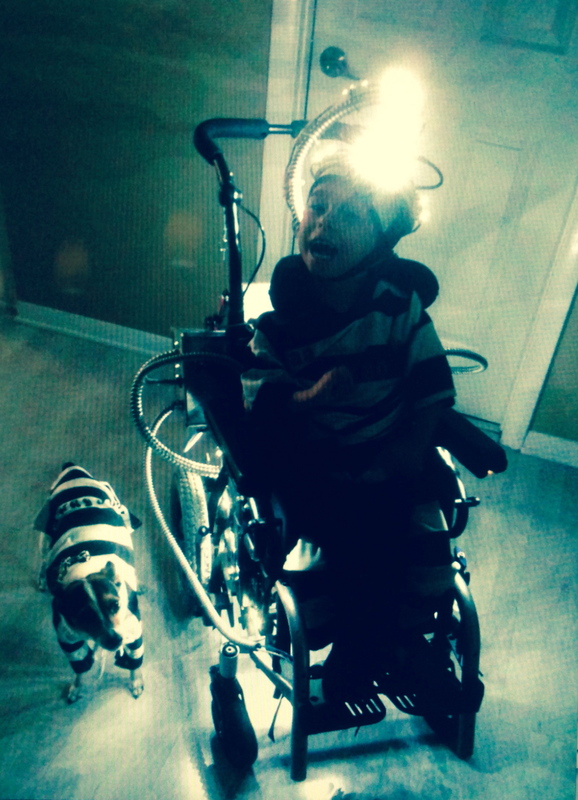 I said, “We have another one.” Once he was old enough for a wheelchair, that’s when ideas really started coming. CA) It’s interesting, it almost seems like having a wheelchair would make it harder to come up with ideas, but in your case it’s opened up more possibilities. T ALFANO) It did. There are also times where some of my ideas draw the line. CA) You’re talking about the electric chair? T ALFANO) Yes, and some other ones that I thought about. I considered doing Hannibal Lector but people might think that’s wrong. CA) It seems that Anthony gets joy out of it, or at least gets joy out of seeing people’s reactions. T ALFANO) Yes, that’s what it is. To be honest, we don’t know what he is thinking about it, but when people react in a positive way he feeds off it. CA) Did you ever fear that it could be more for you than for him? T ALFANO) No, because he feeds off people’s reactions. If people are around him smiling and clapping, he’ll want to participate. We could push him around in a regular costume, but I want him to be more part of it. It’s a time when he really shines. He’s the center of the attention. CA) You’ve set the bar so high, what are you going to do for future costumes? T ALFANO) I don’t know. (Laughs). Eventually I may have to do a repeat and just make it better, I’m not sure. T ALFANO) I don’t know. Everyone keeps telling me to do the Zoltar again. CA) That took a couple months to build. Typically, how far in advance do you plan the costumes? T ALFANO) It just depends. 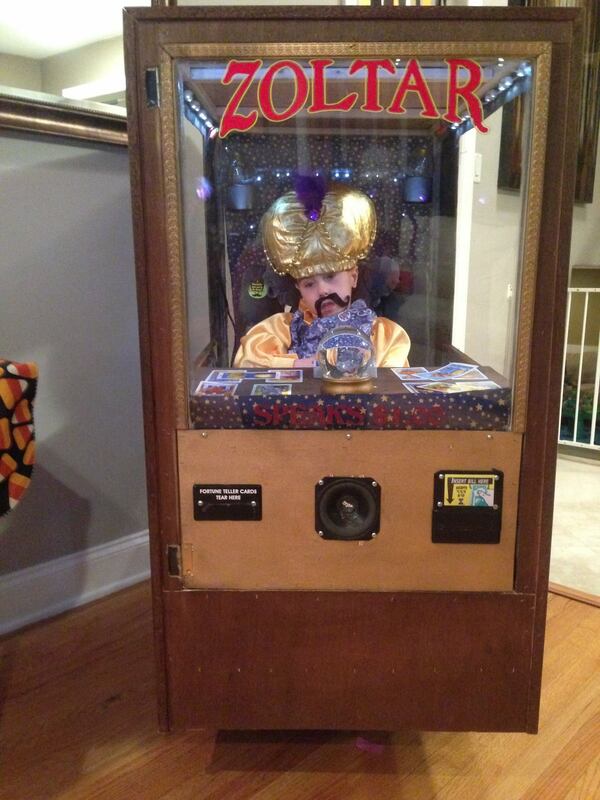 Last year, Zoltar came to me on October 10. Part of my thing is that if someone gives me an idea, if I Google it and it comes up, chances are I won’t do it. I wanted to do the claw machine and it’s out there. I thought about a bubble gum machine and it’s been done. There are a lot of things that have been done. A golf cart was another. CA) You’re really putting the pressure on yourself. D ALFANO) There are a lot of hockey players, but never a hockey player and his net. T ALFANO) There’s one online but I’m not sure if it was done before or after us. [On his: I made the net so that it would attach to his chair. I made the decals to match [Chicago Blackhawk goalie] Corey Crawford’s helmet, real skates, and even had the Gatorade bottle. I tried to make it as close to the real thing as possible. When we were going from house to house, he took the whole sidewalk because of the size of the net. So, no kids would walk next to him, they were either in front or in back of him. D ALFANO) I think that was the one he liked the best. That one, and Zoltar. 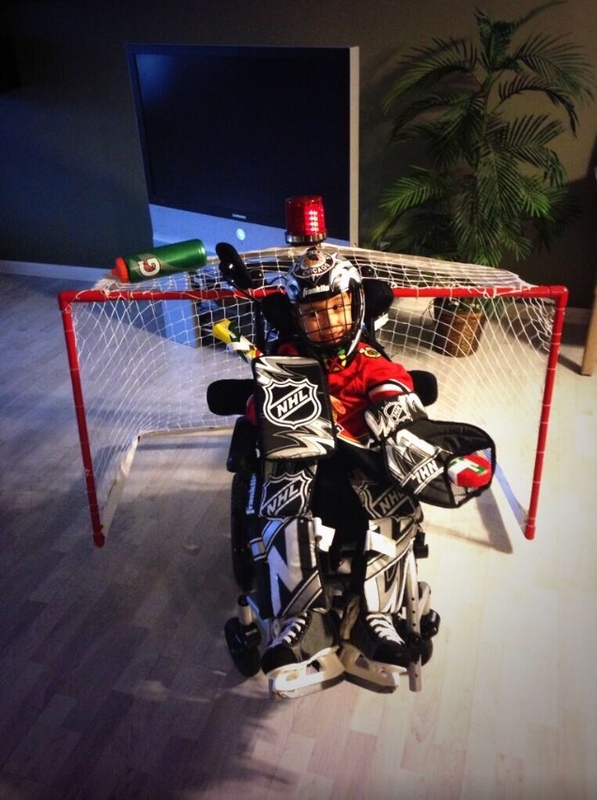 He probably was the most animated as the goalie because he has such a passion for hockey. T ALFANO) He has been Elvis, Pinocchio, Mini-Me, Electric Chair, Hockey Goalie, Zoltar and now the harness horse jockey. I love to see all the kids who are dressed up react to his costumes. 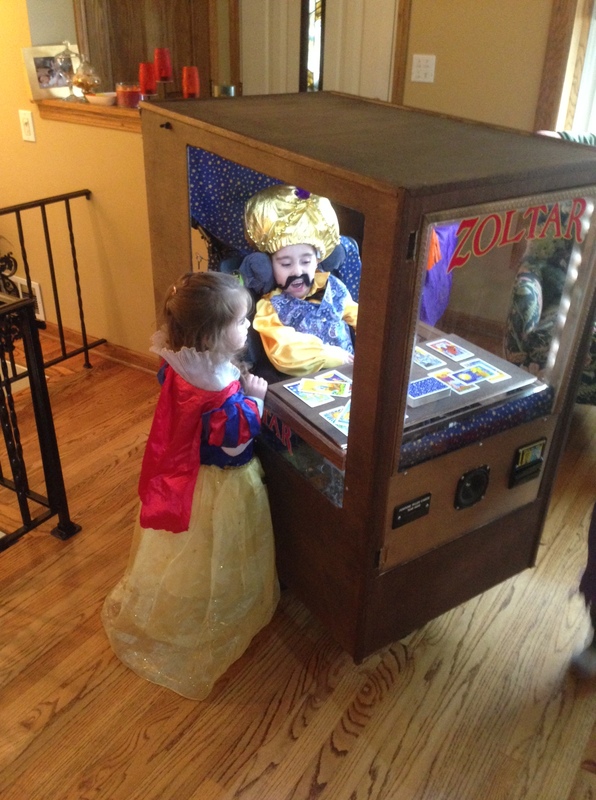 Last year we had a lot of our friends’ kids around and they all wanted pictures next to Zoltar. To me, it’s fun to make everyone have a good time. CA) Have you heard from any parents of kids with disabilities, has it inspired them? T ALFANO) Not really, but that’s what I hope. If someone wants me to build something for them, I would. As long as I have the chair and an idea. I’m not going to do the thinking for them. CA) Be careful what you wish for, you may get a bunch of calls. T ALFANO) I would do that. To make it fun for somebody else would be great because I know we’re having fun. This is what I’m having fun with. I can’t take him and watch him play soccer. I can’t take him to the park and see him run around, I can’t do that. This is what I can do and what I know I’m pretty good at. I’m always watching kids run around, and my kid is watching them run around, and I’m thinking to myself, ‘Get up and go.’ That’s the tough part. So, yeah, this is probably for me too. I want to have fun with it because I can’t buy him toys, he doesn’t play with them. So if I spend $300 on a costume, parents are spending how much on kids’ toys a year? You know, people think I’m crazy that I spent a lot of money on a costume for him, but what did you spend all year? D ALFANO) We do have toys. T ALFANO) Yes, more so for other kids to come here and play. They make a mess and I love it. CA) Now the goal is to get on “Live with Kelly and Michael” and possibly “Ellen.” I know Kelly and Michael are having a contest, but why Ellen? D ALFANO) Because she is the one person who appreciates things like this. She gets a kick out of things like this. CA) Are you looking to inspire others? T ALFANO) To have people do more and come up with their own ideas would be cool. To be more a part of your kid’s life. We have to with Anthony. Everything he does is because of us. The kids now tell their parents what they want to do. That’s fine, but be part of it. What I see a lot is parents putting their kids in sports to push them off. It’s like a babysitter. Be part of it, you may only have time for one activity, but be part of it. I work with people who are softball coaches, people who have their kids in piano and dance. Well, they aren’t around them for the whole thing. Be around the whole softball practice, or the whole dance lesson. CA) I see Anthony smile and wonder how anyone could not smile back. D ALFANO) He’s happy. Without saying anything he says a lot with his laughter and his expressions. T ALFANO) Maybe I look at it like this because I know how hard it was for us to have kids. We tried for five years. It wasn’t like “I want to have a kid’ and then we got pregnant right away and had a healthy, normal kid. You take that for granted. For us, we know how hard it is. You have to cherish everything. CA) You told me your attitude always has been that ‘no matter how tough you have it, someone else has it tougher.’ I think that’s a great outlook. I suppose some would be sad or mad, mad at the world. T ALFANO) And what good would that do? We’d just be miserable. I hope people hear this story and get inspired. There’s nothing to feel bad about. CA) It’s a beautiful story and that causes emotion. It doesn’t mean it’s sad. You said you didn’t have a choice and that’s true, but you should still be proud of what you do and what you’ve done. I’m not just talking about the Halloween costumes. D ALFANO) We just don’t know anything else. This is our normal. T ALFANO) I’ll never forget the time I was watching my nephew. Anthony was on a beanbag chair, and I had to go to the bathroom. I knew Anthony would be fine and couldn’t go anywhere but my nephew was walking around and I didn’t know what to do about that, because I didn’t want him to get into anything when I had the door shut. I didn’t know what to do, so I told him, ‘Let’s play a game.’ I had him knock on the door the whole time I was in the bathroom just so I knew he was by the door. D ALFANO) He didn’t know what to do with a kid that could walk around is what Tony’s trying to say. T ALFANO) Yeah. (Laughter). That’s what it was like. I had to go to the bathroom and didn’t know what to do with a kid who could walk around and get into trouble. I didn’t know any better. (Laughter). It’s just what we’re used to. D ALFANO) We don’t want him to think he can’t be part of something. So if we’re at the park, I’ll take him out of the chair and take him down the slide…. Or if we’re at the park with other kids, Tony will be pushing Anthony’s chair and chasing the kids with Anthony, fooling around. T ALFANO) You have to have fun with it. I know he’s never going to do certain things that I wish he could do, but it is what it is. There’s no magic wand. I try to make the best out of every situation and go from there. If I sit there and get mopey, where’s it going to get me? The bills still come (laughter). I still have to pay my mortgage, pay the car bill. I have to live. That’s why I golf on Sundays. It’s my four-hour break.